Hola! We have just arrived in Barcelona, Spain for the 2009’s Mobile World Congress and before unpacking our luggage, we decided to share with you information about the surprise Samsung has for us all! 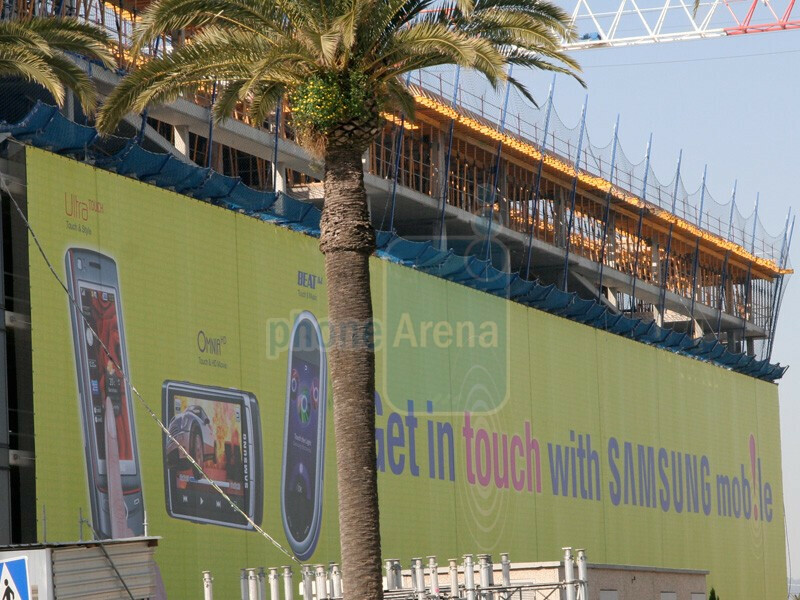 In a huge billboard, the Korean manufacturer shows off not only the UltraTOUCH but also the other two hot phones it has prepared – the OMNIA HD (known as the Acme i8910 until now) and the BeatDJ, we’ve seen as the M7600. Unfortunately, there are no new details, but the HD in OMNIA HD seems to prove previous rumors about HD video recording and playback and the BEAT DJ is definitely a music centric phone. The show starts on Monday, but check the site regularly for the latest news straight from the horse’s mouth. wtf? 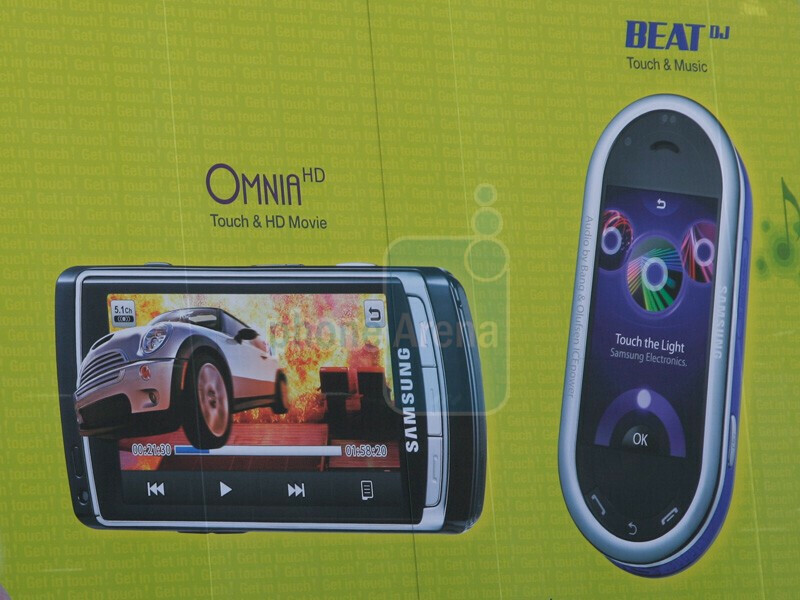 Omnia HD has Symbian OS, instead of WM 6.1 or 6.5? Huh, well Ill be damned. Maybe it will have a winmo option as well? Any chance of this phone coming to Verizon? maybe, since its the omnia..?